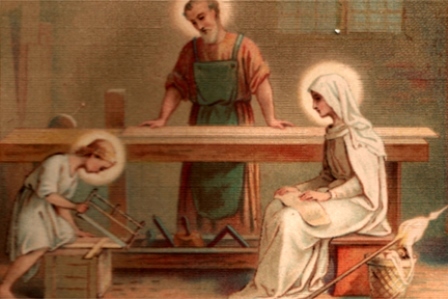 On May 1 the Church provides an alternative to the May Day celebrations once common in the Communist world by marking its own feast day, the feast of St. Joseph the Worker, established by Pope Pius XII in 1955. Joseph, the chaste spouse of Mary and the earthly adoptive father of Jesus Christ and protector of the Holy Family, is the patron saint of work. While May Day celebrations honored the state, this feast day celebrates the dignity of work. The magisterium has a rich history of economic thought and documents. Beginning with Pope Leo XIII’s 1891 encyclical Rerum Novarum, and continuing to Pope Francis’ recent Apostolic Exhortation Evangelii Gaudium, the Church has long taught that a dignified, humane economy which serves people—not people serving the economy—is essential to preserving the dignity of the human person and the dignity of work. Pope Leo XIII defined work as the right to “exert oneself for the sake of procuring what is necessary for the various purposes of life, and first of all for self-preservation.” (13). Pope Saint John Paul II reminds us in Centisimus Annus that, “work belongs to the vocation of every person; indeed, man expresses and fulfills himself by working.” Consistent with the dignity of work and that of the worker, we must be guided by the principles laid out in Rerum Novarum, which laid out rights and duties of workers and employers alike, including performing a day’s work for a day’s pay, the right to a just wage that provides for the needs of the worker’s family, and the right to form associations (unions). Pope Francis continues in the footsteps of Popes Leo XIII, Pius XII, and St. John Paul II. By saying “no” to “an economy of exclusion”, to “the new idolatry of money” that places profit as the supreme goal at the expense of the dignity of work, and to a “financial system which rules rather than serves”, Evangelii Gaudium refocuses the world’s attention on the importance of harmonizing economic freedom and human dignity. As we pause to remember St. Joseph, who faithfully participated in God’s plan by his work and fidelity, let us also remember to work for and treasure an economy that respects and rewards the dignity of work!